Family owned for over 30 years, J&P Dry Cleaners has been a staple in the Roslindale neighborhood. From the very first day this establishment opened, the main goal was above all, superior customer service as well as professionally cleaned and pressed clothing. Although the family-owned establishment switched management once, it was from within. Jose Ernesto Vargas had been working in this establishment for 12 years. So when the owners had decided to retire, there was no question that Mr. Vargas would carry on the J&P Cleaners mission. The new owner, along with his wife, Myra Vargas, had finally reached their dreams of owning their own business. With the help of their sons and other family members, J&P Cleaners was able to cater to their customers with implementing new services such as laundering shirts (on hangers, folded, or boxed), alterations, suede/leather cleaning, and many more. 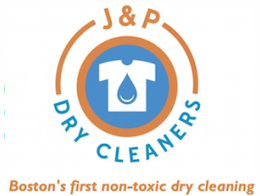 After 30 years in the Roslindale location, J&P Dry Cleaners has recently expanded to include a newly renovated dry cleaner located in the busy Jamaica Plain area. Still family owned and operated, J&P Dry Cleaners has added additional services, such as wet cleaning and wash/fold. In regards to technology, our goal is to stay ahead of the game and in doing so we have a brand-new POS system, we accept all major credit cards, and have social media with exclusive offers. It's a very exciting time for us, and we cannot wait to see you soon!